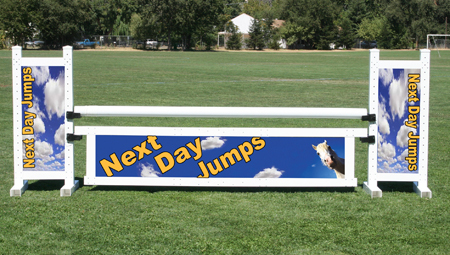 Let your imagination go wild with this combination of the panel jump and the 5' Picket Wing Standards. Sold as a package. Price includes custom graphics and printing on the standards and the panel. Tell us what you want and we get it done. Jump cups and pole not included. Made out of durable, strong, PVC, that does not need painting. 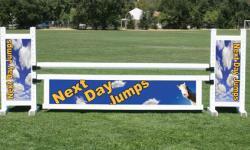 Email ejezbs@gmail.com to make arrangements for the design of your custom jump. Or use our contact form.